Fairfax, Virginia is nestled conveniently by Washington, DC and has grown from a small agricultural area in the early 1900’s into a vibrant community full of amenities catered to both new and established families. Fairfax is known for its scenic park spaces, top of the line schools, and ease of access to the Washington, DC metropolitan area. If you are looking for a home in Fairfax, Virginia, there are a number of tangible, quality of life benefits to settling here that entices families from all across the nation. Some benefits that may not immediately come to mind are the financial benefits associated with owning a home. Below we’ve compiled a brief list of the many financial benefits buying a home in Fairfax can have for you and your family. Read on to find out how home ownership can save you money and improve your financial status over the long term. Owning a home is much less expensive than renting one over time. 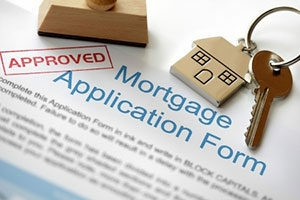 Initially, this may not seem like the case as your monthly mortgage payments will go mostly towards paying down interest, with less money funneled toward your principle. However, as your interest payments decrease, so to will the amount of money you spend annually. This will make owning your home cheaper the longer you live in it. As a renter, most of your monthly rent will go toward your landlord’s mortgage and upkeep cost. If you are going to spend the money on housing anyway, why not invest in your own property, rather than someone else’s? Equity in your home is the amount that your home is worth minus the amount you still owe on your mortgage. Every month that you pay your mortgage, you are increasing the amount of equity in your home, and thereby improving your financial situation. As the portion of your mortgage payment dedicated to interest payments reduces over time, and the amount applied to your principle increases, your equity will snowball and increase rapidly. If you buy a home, you will be able to take a number of deductions reserved for homeowners on your annual federal income tax filing. Payments that you make on your mortgage’s interest are tax deductible, as well as residential property taxes. In addition to this, some of the costs associated with closing on your home will be tax deductible in the year your purchase your home. If you decide to take out a loan or line of credit based in the equity of your home, the interest paid on these will also be tax deductible on your federal income taxes. When selling your home, if you have lived in it as your primary residence for more than two years, the profits generated from your home’s sale are tax exempt as capital gains. If you are single, the profits from selling your home are exempt up to $250,000, if you are married, the amount doubles to $500,000. Having to maintain a minimum income in order to pay your monthly mortgage bills will help provide you with a great deal of incentive to budget and save your money effectively. Owning a home and the level of responsibility this requires will aid you in managing your income. If you are looking to finance a home in the Fairfax, Virginia area and are curious about the many, financial and quality of life benefits associated with homeownership, contact Fairfax Mortgage Investments today. You can reach us online or by phone. Let us help you find your dream home in peaceful and convenient Fairfax, Virginia. Let’s get started today!